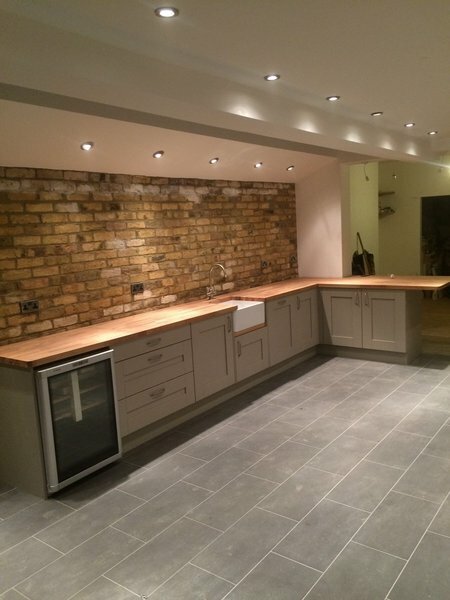 As builders is building and Refurbishment company based in Plumstead,Greenwich Area. 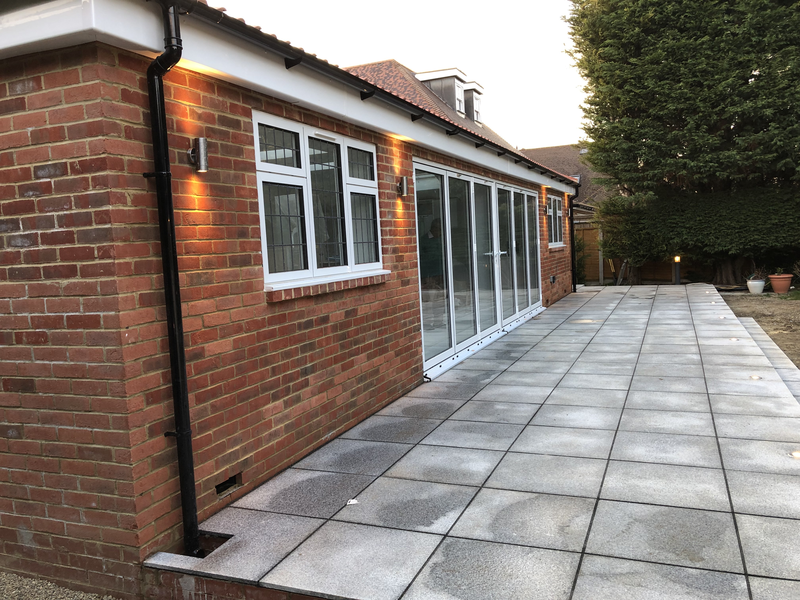 We specialize in house extensions and conversions from converting your garage into a office space to extending your house onto unused space into a kitchen or a homely environment. Our Team is committed to handling every job small or big with complete dedication and hard work. We believe in giving our customers the best value possible, ensuring outstanding quality of workmanship and offering a friendly and professional experience from start to finish. We offer superior and cost effective property Refurbishment and build solutions to meet our client needs. We would love the opportunity to earn your trust and deliver you the best possible service. Amarjeet and his team were fantastic from start to finish on a Kitchen renovation project. 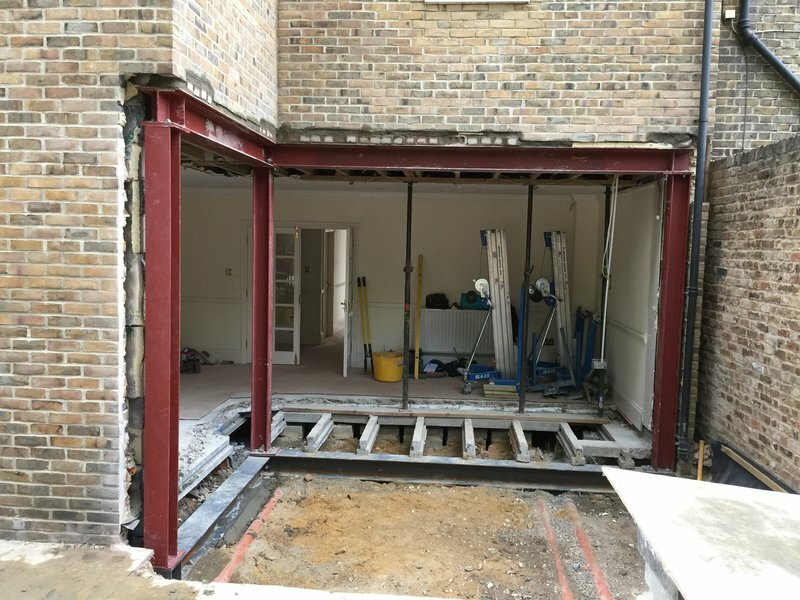 The work involved removing a wall and extending the kitchen, putting underfloor heating, fixing the electrics and plumbing. All of this was done to a very high standard with minimal disruption to our day to day life. With 2 little children in the house, I was very concerned about dust and the team were exceptionally mindful cleaning up after the day was done. The thing that stood out for me was the accommodating nature and the ability to be flexible as unexpected surprises happened on our project. Amarjeet provided peace of mind and ensured that I was 100% satisfied which I was. I would have no hesitation in using him for our next home project. We had appointed Amarjeet and his team to refurnish our 3 bedroom flat in W2 for a full refurbishment. The scope was to completely demolish the flat to its skin and build up the floor, ceiling and walls with acoustic properties. I am an interior designer myself and have been in the industry for 10+ years. I am not the easiest to work with as finishing is extremely important. Amarjeet and his team are very patient, polite and hard working. I was personally supervising the works and was on site everyday and sometimes twice a day (yes a total pain!). They were accommodating, sometimes waiting for me late in the evening so I could speak to them etc. Most importantly they are very honest! There were one or two small things that did not happen as per our discussion. From my experience with various big and small contractors- the finger pointing and blame game lasts weeks comprising the project timeline. AJ and team instead of arguing and fighting for weeks- if it was the teams misunderstanding they accepted it the same day and came up with ways to fix it which is rare attitude to find in builders. There were times I could not buy a product due to time constraint and AJ bought it and sent it to site in order for the works not to be compromised. Last min changes and additions- we were charged very fairly for. Again, another trait not very commonly found in builders. Overall- we are happy with the quality and very happy we came across such a fantastic team and we would use them again. 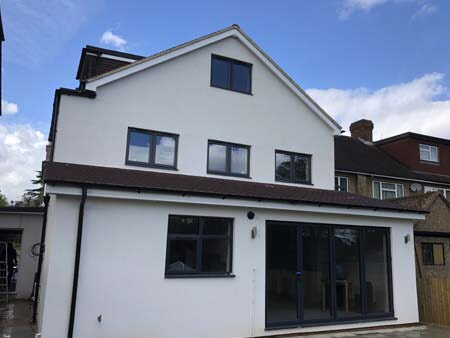 I had a complicated Kitchen Extension project which required breaking down a dividing wall, installing underfloor heating, rewiring and making changes to the plumbing. Amarjeet provided complete peace of mind by communicating frequently and the team were thoroughly professional - cleaning up after each day and keeping me updated regularly. There were no unwanted surprises in my bill and on the contrary the team were highly accommodating with minor additions that happened. I am delighted with the outcome provided and the quality of service delivered. Worth every penny. Amarjeet converted a large bathroom into a small bathroom and small bedroom. The quality of the work was excellent, the team were reliable, polite and hardworking. The work has to be completed to a very tight deadline and didn't overrun by a single day. The work came in on budget as well and there were no unexpected extra costs. I made some last minute changes to the design which were not a problem. I would not hesitate to employ Amarjeet and his team again. AS Builders did a fantastic job with the first stage of renovation in my home. From moving doorways to adding a sky light to my kitchen roof, to replacing the ceilings and pipes and re-plastering the whole house. I would not hesitate to recommend them. I shall definitely use them again (if they are not too busy to help me!) for the next stages in my renovation. Great value and professional team of builders! We would highly recommend AS builders who have just renovated our Victorian terrace house for us. They stripped back, replastered and installed new ceilings throughout the property. Also fitting skirting boards, doors and we added a new bathroom to the works which the tiling was finished brilliantly in. Amarjeet was always at the end of the phone to discuss and agree on any changes. We added a lot of items to the original quote, all of which was fairly priced and no trouble to do. The team of builders were very friendly and it was good having the same team throughout. We are really happy with all the work AS completed and will be getting them back to do our extension next year! The guys were very helpful throughout the process and all work was done on time. Happy to take on additional work and change things that didn't turn out how I wanted. A S Builders took on our renovation project at very short notice. They are highly efficient, friendly, helpful and reliable. The work started as a small project, but had to become a very substantial one due to problems uncovered but their commitment meant that the work was completed in the allocated time. We highly recommend them and will definitely use them in future for other projects to come.